Presently my basic pay is 72100 in level 7, my macp date is May 2018 and what’s my basic pay and grade pay after MACP. I think your basic pay as 1/7/17 is on rs. 72100, than from the date of joined in MAY, 2018 as upgradrations as MACP basic pay as rs. 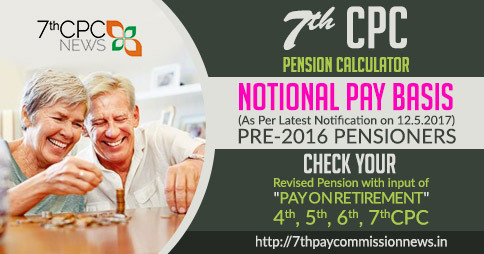 74,300 of additional increment and your next increment on 1/7/19 as rs.76500in level 8. 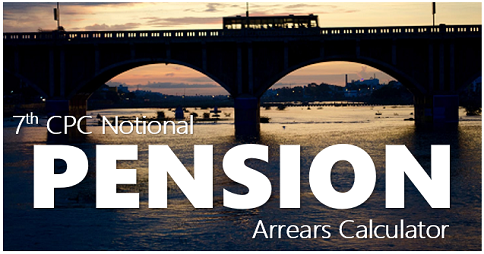 Increment is given on 7/18, since you got the increment from 5/18. My basic is 34300 . My next increment date is 1/7/19 & my MACP is due on 09/07/19. Presently I m coming in pay slab 4 after MACP pay slab 5 . After MACP what is my basic salary. I have been promoted on 01.01.2018 and opted fixation on the same date and fixed at 60400, I was given first increment on 01.07.2018 i.e. 62200. My next increment will be on 01.07.2019. My colleague promoted on 01.02.2018 and he opted for fixation after annual increment on 01.07.2018 and fixed on 62200 on 01.07.2018. Now as per DOE letter 31.07.2018 he is being given next increment on 01.01.2019 at 64100 and his annual increment will be 1st Jan. Thereby he is getting more pay than me though he got promoted 1 month later. Is his fixation/increment correct? What option I have to get salary at par with him? Or increment given him on 01.01.2019 is wrong? Your colleagues given increment on January,19 is wrong, he should be given increment from 1/7/19 allway, annual increment is in the month of July only for all. Sir, please refer to my earlier query and your reply on the matter. In this regard, I again went through DoE OM dated 31.07.2018 which state that “it is clarified that in case an employee is promoted or granted financial upgradation including upgradation under the MACP scheme on 1st January or 1st July, where the pay is fixed in the Level applicable to the post on which promotion is made in accordance with the Rule 13 of the CCS(RP) Rules, 2016, the first increment in the Level applicable to the post on which promotion is made shall accrue on the following 1st July or 1st January, as the case may be, provided a period of 6 months qualifying service is strictly fulfilled. The next increment thereafter shall, however, accrue only after completion of one year.” In this regards my submission is that if an employee got promoted between 2nd of January to 30th June and gets his fixation after taking annual increment on 1st July then his first increment will be on 1st January which is my colleagues are doing and I think they are right and I will be in loss as I was fixed in January. Your opinion will be appreciated sir. 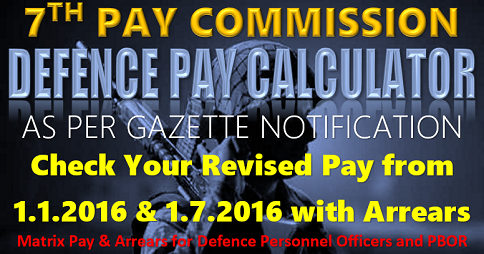 my pay was fixed on date of increment(01 Jul 16), current pay is 41600/-(defence) in level 5. eligible to be granted MACP on 16 May 19 for next level 6. advise what would be my pay after fixing MACP. From the MACP dated 16/5/19 as Rs.42,800/- & increment only on 1/7/20 as Rs.43,600/-. Since you are not completed six month in level 5 of Rs.42,800/-, & you are completing 6 months from 1/1/20 to 31/6/20 your increment on 1/7/20 only. 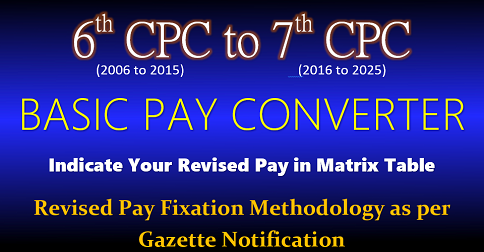 Mention your basic pay as on 1/7/18 & confirm you got any promotion from your joined post, if you got one promotion, you will be eligible for 2nd MACP on completion of 20th year only then only fixation question arises. My date of retirement is 31/10/2016 and my pay was fixed at Rs.70000/- under 7th Pay Commission w.e.f 01/07/2016.. Now I have been granted 3rd MACP w.e.f 16/02/2012. On 16/02/2012 my pay was Rs.18080 with grade pay of Rs.4800/- under 6th Pay Commission.. Please guide me the procedures to be followed for my fixation and what should be my pay after grant of 3rd MACP? A reply in this regard may please be forwarded to my e-mail id. As per your last basic pay as on 31/10/2016 divided by two i.e. 50% is your pension plus D.R. as applicable from time to time per month. Recently l promoted to Additional Research Officer from Assistant Research Officer in up health department from band-2 , 9300-34800 grade pay 4200 to band-2, 9300-34800 grade pay 4600. At present my basic pay is 66000 in7th pay scale. Now on which level my pay fixation will be done or only one increment will be given to me. If it normal promotion due to retirement/vacant post no monitory benefits only higher designation changes if MACP upgradrations on completion of 10years one increment will be given re.68,000/- in level 7. Sir my MACP date is 09/07/2019 & my increment date is 01 July 19 . My basic pay is 34300 rs and pay slab level is 4 . After MACP my slab become 5. How much rupees increase in my basic as a MACP . After, 1/7/19 increment of Rs.34,300/- in level 4 with one increment in the same level of Rs.35,300 from 9/7/19 as MACP upgradudation of basic pay & next increment on 1/7/20 as Rs.35,900 in level 5. I have MACP on Sep ,19 and after increment my pay will be Rs 76500 on 01/07/19 what will be my next pay in level 9 & what option i should opt. If increment on 1/7/19 as Rs.76,500/- than from the MACP on completion of 10 years without any promotion) from joined service date of Rs.80,200/- & next increment 1/7/20 as Rs.82,600. Options not required since you are completing 6 months (1/1/20 to 30/6/20) of pay in level 9.
sir is it clear that letter regarding MACP duly approved by hon. president of India on the basis of Hon S Court orders dated 25 jul 2018. has been sent to all the Chief of Defence personnel. previously it was addressed to only the Chief of the Army staff. What if an employee promoted to the GP 4200 on 01.07.2018 and his pay fixed on 01.07.2018 giving increment then what will be his DNI 01.01.2019 or 01.07.2019 according to this rule. 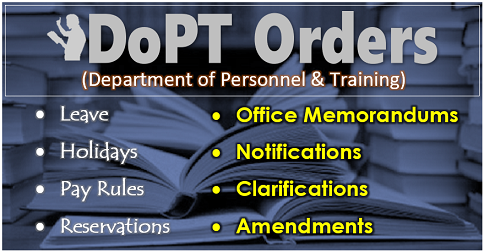 As per latest order Increment in JULY only. Presently my basic pay is 35300 in level 4, my increment date is July 2019 and MACP date is August 2019 in level 5 in 2nd MACP (after completion of 20 years regular service) then what’s my basic pay after MACP. Basic as on 1/7/19 as Rs.36,400, MACP UPGRADED from (joining date) in August, 2019 as 37,700/- in level 5 & 1/7/20 as Rs.38,100/-. Objective: To determine the date of next increment (DNI) upon promotion from Level-9 to Level-10 and opted for pay fixation from DNI not from the date of Promotion. On discussing my near and dear, I have been suggested to opt my pay fixation from the date of next increment (01.07.2019) rather to opt from the date of promotion. I have given my option to get my pay fixed from DNI (01.07.2019). My pay was fixed at Rs. 82400 as of 01.07.2019 and allowed me to draw the pay on higher post (Level-10) @ Rs. 77700 being the next higher figure was available in the Level-10 from 07.01.2019 to 30.06.2019. 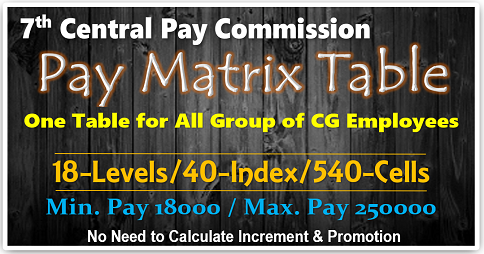 This pay was fixed as per Rule-13 of CCS(RP) Rule 2013. My concern is that what should be my DNI is the above situation. As per OM dated 31.07.2018, it has been clarified that if a Govt. Servant qualifies his service for minimum period of 6 months, the next available DNI (Jan 2020 or July 2020) will be the next DNI. In my case, which one for the DNI should be determined. Please go through the provisions and guide me whether my DNI should be Jan 2020 or July 2020. This is to inform you that LTC is not OFFICIAL DUTY, it is given you with leave & allowing your to & fro for claim paid to you (if it is official it will be given T.A. with boarding & food allowances, without deducting travel period & stay period). Increment will be given only on the period of joining duty. 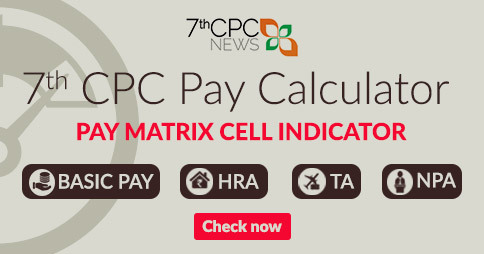 From 7th CPC there is no promotion benefits only designation changes for posts no pay scales, moreover it is not upgradudation of MACP, if you are comes under Pay Band 15600-39100 after basic of Rs.77,700/- from 7/1/19 (joined duty) as Rs.80,000/- DNI 82400/-. My salary is in level 7 on Rs.60400.I have to get promotion in level 8 in month of April . What will be my basic salary & when will I get next increment? ?